Just read this and I find it fascinating. Special thanks to Sebastian Roché for posting this. Dust off your binoculars, or for you serious astronomy enthusiasts, get ready to show off your telescopes – it’s about to be the first eclipse of the year! A total eclipse is when the earth passes exactly between the full moon and the sun. 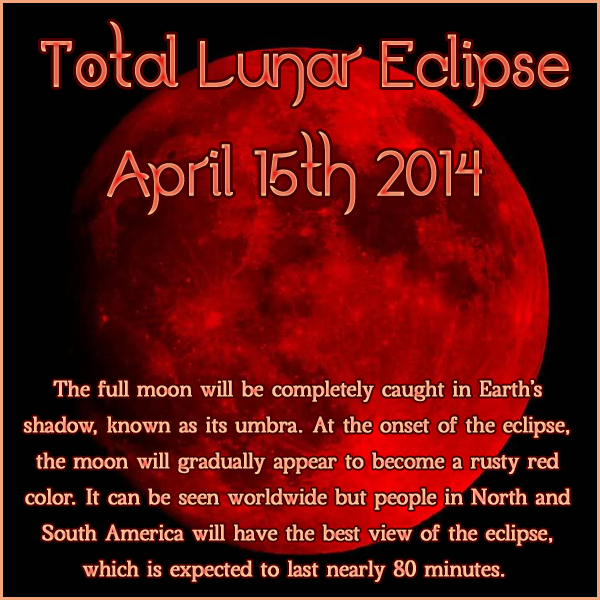 This one will be a bit more rare, as it will be one of a series of four total eclipses without a partial eclipse in between, also known as a lunar tetrad, and lately, what people are calling a Blood Moon. 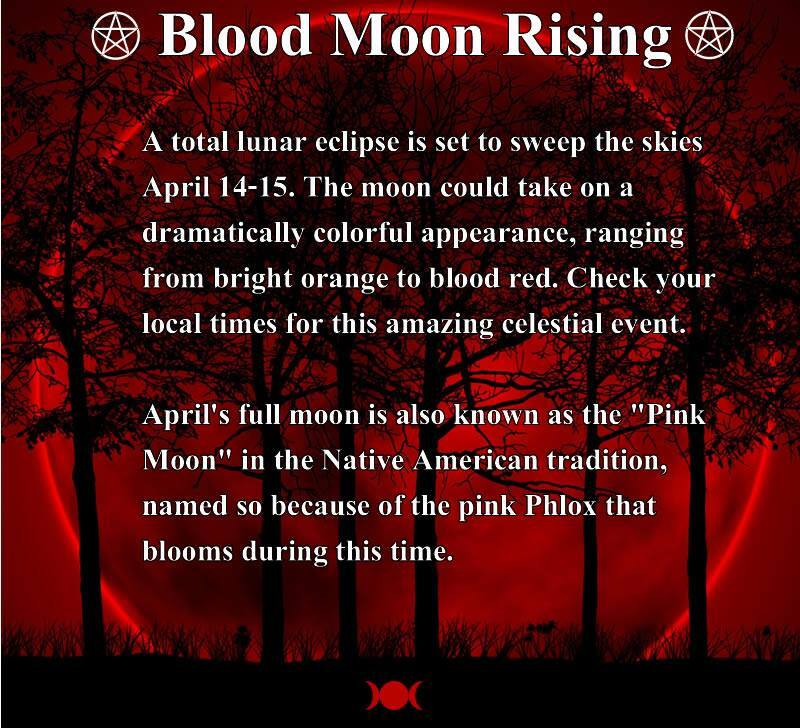 The Blood Moon will be visible to the naked eye on at around 9:55 p.m. on April 14th, and continue overnight into April 15th. (If the latter date rings a faint bell, it’s because it also happens to be tax day.) The total eclipse doesn’t begin until 12:08 a.m. on the 15th, moving into maximum eclipse at 12:46 a.m. The whole event will last for about 3 hrs and 35 minutes. Besides lunar eclipses being a celestial phenomenon in and of themselves, Blood Moon earns its special name due the red color created when sunlight filtered around the earth’s atmosphere hits the moon. The moon will look like your favorite sunrise or sunset, appearing dusty red/orange. It also has a spiritual meaning to some. The remaining three eclipses in the tetrad will happen October 8th, April 8th, 2015, and September 28th, 2015. All will be visible in all parts of the United States, but the upcoming “ring of fire” solar eclipse, happening on April 29th, is limited to a small part of Antarctica. In Chinese mythology, lunar eclipses occur because the Dragon, a masculine solar energy, is attempting to eat the moon. To counteract this effect, it was traditional in ancient China to make loud noises (e.g., bang drums) to frighten the Dragon away. As recently as the nineteenth century, the Chinese Navy fired its cannons during a lunar eclipse because of this belief. In 1503 Columbus’ ships ran aground in Jamaica. During the year that Columbus and his crew waited for rescue, the natives took care of them. Eventually, however, the islanders tired of feeding them. Columbus had an almanac and knew of an upcoming lunar eclipse. Just before the eclipse, he told them that his God was angry and would show them that evening. When the moon was eclipsed that night, the islanders promised to continue providing for them, if Columbus’ God would restore the moon. 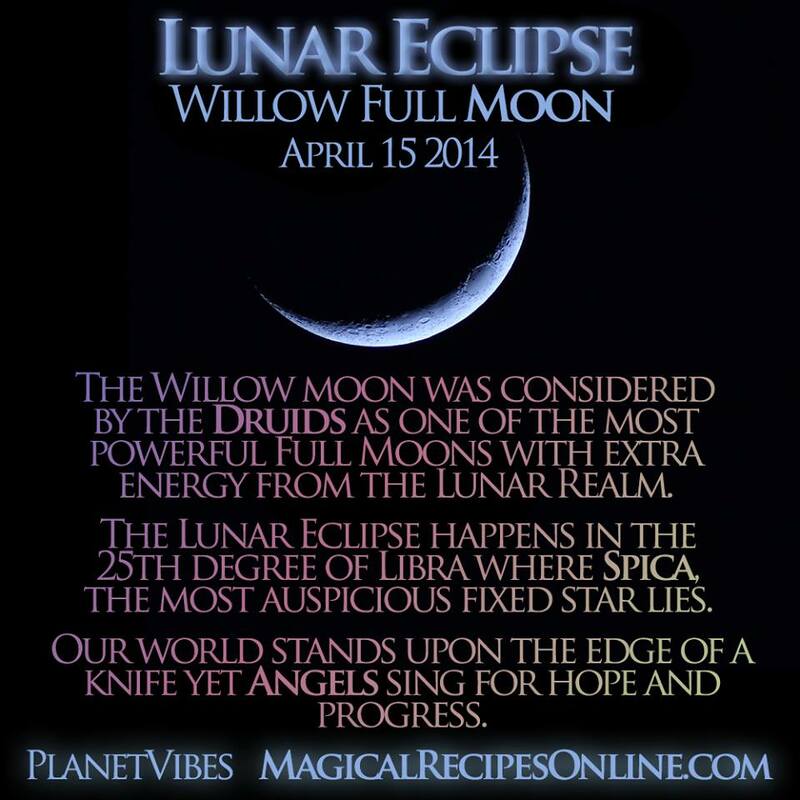 Various traditions credit lunar and solar eclipses with affecting human and natural events. Tibetan Buddhists say that during a lunar eclipse, our actions, whether good or bad, are multiplied one thousand fold. Astrologers say the occurrence of an eclipse can trigger wars, political events, and natural phenomenon (e.g., earthquakes). The Christian Bible points to a possible lunar eclipse as an omen of the end of days. Yule is celebrated on the 21st of December and falls on the Winter Solstice. In Wicca we celebrate 8 Sabbats throughout the year, these are Solar festivals which mark the changing of the 4 seasons and the 2 Equinox (Spring and Autumn) and 2 Solstices (Summer and Winter). On the Summer Solstice, which is the longest day of the year, there is a great battle between the two Sun Gods, the Lord Of Darkness (the Waning Sun) and the Lord Of Light (The waxing Sun). On the Summer Solstice, the Lord Of Darkness wins the battle and becomes ruler of the skies. The days will then begin to get shorter and the nights longer, it becomes cold, the earth begins to die and become barren of any growth or vegetation. 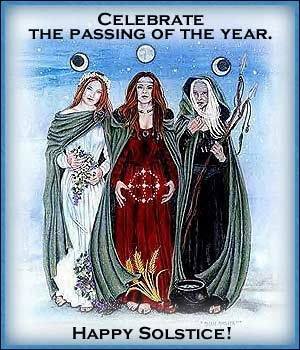 The Goddess goes through 3 stages throughout the year. In spring she is a young maiden, young and fertile. The Lord of Light is also young and wild. In late Spring/beginning of Summer, the Goddess and the Lord Of Light marry and mate for the first time, and the earth starts to blossom and bloom at their union. The Sun Gods’ light is very powerful and takes a lot of energy, but by late summer The Sun God is weak and the Goddess is heavily pregnant with the abundance of the harvest to come. The Dark Lord lies in wait in the underworld for the Sun God to become weakened and on the Summer Solstice he rises from the underworld to fight the Lord of Light, and he wins. It takes until Samhain for The Lord of Light to descend into the underworld (Which is the Goddesses womb). The Goddess, now in her mother phase, gives birth to the harvest, and at the end of Autumn the Goddess is in her Crone phase, as the wise old woman who watches over earth and mankind. On the Winter Solstice (Yule), The Goddess, with her last ounce of energy, gives birth to the Lord Of Light, his power and strength are so strong that he knocks the Dark Lord from the sky. By giving birth to the Lord Of Light, the Goddess sacrifices herself and dies, going into the underworld to rest until she is reborn as a young maiden once more in the Spring. On Yule we celebrate the return of the Lord Of Light. We look forward to the days getting longer and warmer in the months to come. 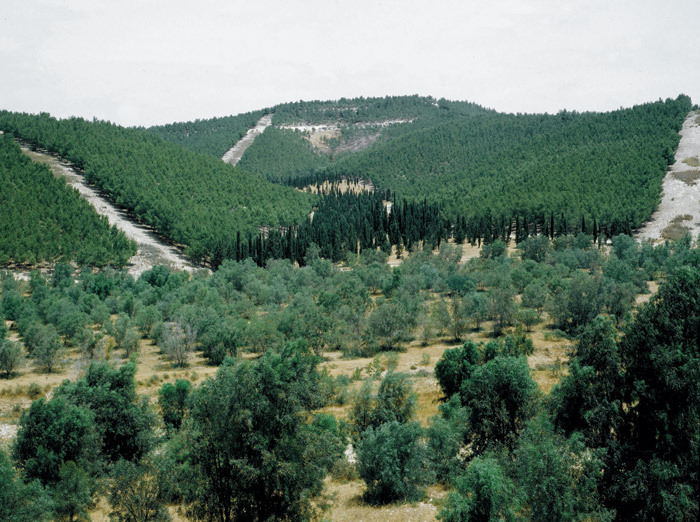 To encourage the Lord Of Light to shine we remind him of times when we had plenty, we have big feasts, decorate our homes with evergreens to show that life still grows, even when the earth is barren. We put shiny things around the home, and light fires and candles to represent the God of Light and encourage him to grow. Yule is a time to have a great feast and give gifts to friends and family to show our gratitude for them, but if all your friends and family celebrate Christmas, then it is fine to have your feast and gift-giving then, if you choose. You should decorate your altar with seasonal fare, wrap up well and go for a long walk to a park or woodland, and pick up any seasonal twigs, acorns, nuts, feathers, stones, and rocks that you find, and put them on your altar. Adorn your altar with fruits, mistletoe, holly, evergreen shrubs, and branches. Give offerings of mulled wine and spices to the Goddess and give offerings of Light to the Baby God. Mainly on this day we give thanks to the Lord of Darkness, for keeping us well through winter and say goodbye to his rule. We give thanks to the Goddess for her sacrifice to ensure ours and the earth’s survival, and we celebrate the return of the young Lord of Light, still growing and becoming stronger day by day. Use this time to meditate and set plans and goals for the coming year, show gratitude for all you have, and all the people in your life. Light a fire using a Bloc na Nollaig (Yule Log) made from Oak wood and make wishes into the flames for the coming year. 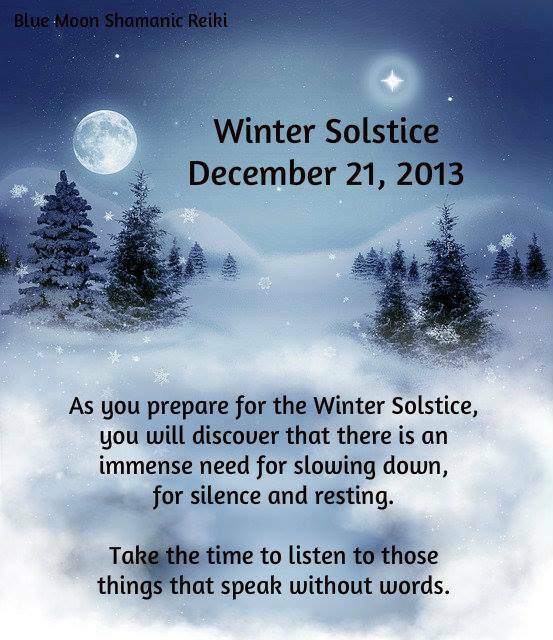 Tonight is the Winter Solstice and will be the longest night of the year, it is a magical time of transition. After this day, the nights will start to get shorter and the days will become longer. As the waxing Sun grows in strength in the coming months, the earth will start to blossom once more. I hope you have a fantastic Solstice and that it will be filled with magic, merriment, and light. Blessed be. Thanksgiving is days away and I’m going to do my shopping tomorrow (I have been in far too much pain today to actually psych myself into it. I was also far too drained to focus on anything other than staying in my PJ’s and not going out in 22 degree temperatures. I’ve wanted a nap since a little after 9:00 this morning. I’m seriously eating dinner and going to bed as soon as humanly possible. ), which is unusually late for me, but I have a list and I’m sticking to it, even though it’ll be crazy in the store no matter what. I honestly don’t think I’ve made a Thanksgiving meal in about 6 or 7 years. It’s been long enough that I simply don’t remember the last time I did it (though I do know that my father was in the hospital at the time), but this year I decided that, despite only cooking for a few people, I’m not making ten plus pounds of turkey for anyone. It’s a lot of food, food that will absolutely go to waste because no one around here eats dark meat (Based on personal preference, nothing more. ), so I am going to re-vamp the menu slightly, but I’m still going to make stuffing because I’m craving it and it’s one of the most awesome things about Thanksgiving in terms of food. Everyone makes stuffing differently, providing they make it at all, as everyone likes different side dishes this time of year. I don’t know anyone that makes stuffing the way I do, but I inherited the recipe from my mother and it’s good enough that I will pass it down the generational line because there is no way in the world this chick is genetically producing children that can’t cook. I’m keeping things healthy by including a salad, even if I’m the only person that eats it. Truth be told, I like to tear up my turkey or chicken and throw it right into a salad, even on Thanksgiving. I do not feel guilty about food EVER, but I especially don’t like bringing food issues of any kind to the table during the holidays. So, I’ve got a nice meal planned, there will be plenty of leftovers, but I’m completely sidelined and baffled by dessert. For the last couple of years I’ve ordered pies and cheesecake for the holidays from a local Italian bakery. I’m not a pie maker, I know my baking strengths and I don’t have the patience for pies, so when it comes to things of that nature, I turn to those who do it for a living. I made the mistake last year of ordering a Pumpkin Pie that was so bad, I refused to eat it. From the crust to the filling, it was one of the worst things you could ever possibly taste. Pumpkin Pie is hard to screw up, it’s a pie I know how to make without a lot of effort, but I was exhausted last year and there would not have been pie at all if it were left up to me. I think I ordered four or five different pies between Thanksgiving and the end of last year, and the only ones worth eating were Caramel Apple Walnut & an amazing Chocolate Cream that was downright sinful (it took me two weeks to finish it, it must have weighed ten pounds!). All the others stunk, but the Caramel Apple Walnut is consistently good. I eat fruit year round like it’s a sport, and I have an immense sweet tooth, so even though I had not previously thought about it, I am going to try to snag a Caramel Apple Walnut to cap off this year’s meal. Personally though, at least for myself, I’m thinking of making my awesome brownies. It will take me the next month and a half to eat them because they’re truly divine, and full of dark chocolately goodness and other healthy things that help reduce any issues one might have at eating a small chunk or two, but a lot will depend on how long it takes me to get the main course and the stuffing in the oven. Fibromyalgia makes it virtually impossible for me to prepare a huge meal in a few hours like I used to, so I’m thinking I will prep the stuffing Wednesday since it’s not a long amount of prep work, and then do the main course and the salad on Thursday. Each takes less than 20 minutes, the oven does all the real work. If I have energy after that, brownies will be made. If not, I’ll settle for a tiny wedge of pie. However, I guarantee that pie will not see the light of day. It’ll come into the house tomorrow afternoon and by Thursday evening, the box will be in the trash. I have serious pie eaters here, they don’t mess around. My only other real “plan” for Thanksgiving is to watch movies and read. I just want a nice meal and a relatively quiet day. Black Friday will be spent chasing newly acquired black kitten who is SO at home right now, it’s not even funny. Every day she learns something new and shows me a new trick. Yesterday it was the fact that, small as she is, she can open closed doors. I have to admit, I was impressed. Today she ran up and down the stairs like a mad woman, and every time I’d go to check on her, she’d go flying back up the stairs like she’d just committed a crime. If you saw the behavior on video, you’d crack up. It’s entertaining as hell. She doesn’t make a lot of noise, so when she meows, which she finally did Saturday, it is the cutest thing ever. She’s pretty possessive of me, but I don’t mind, except when she speeds after me, nearly knocking me down. She’s a little beast when it comes to following me when she wants to. She’s sound asleep, the next minute she’s right under my feet or bumping her head into my legs. She is the gift that keeps on giving, and I’m thankful that I decided to come from a place of yes and bring her home. She’s already helping me feel a lot better about certain things. I’ve had less headaches/migraines since she’s come home, which cannot be a coincidence. I’m calmer and more centered, and I am not yelling nearly as much as I normally do. I am not gifting anyone anything this year, other than my love, loyalty, and friendship, and for some people, all three. I might treat myself to something small, but I really just want to survive the remainder of this year with my head above water, and move into a New Year where I can prosper. 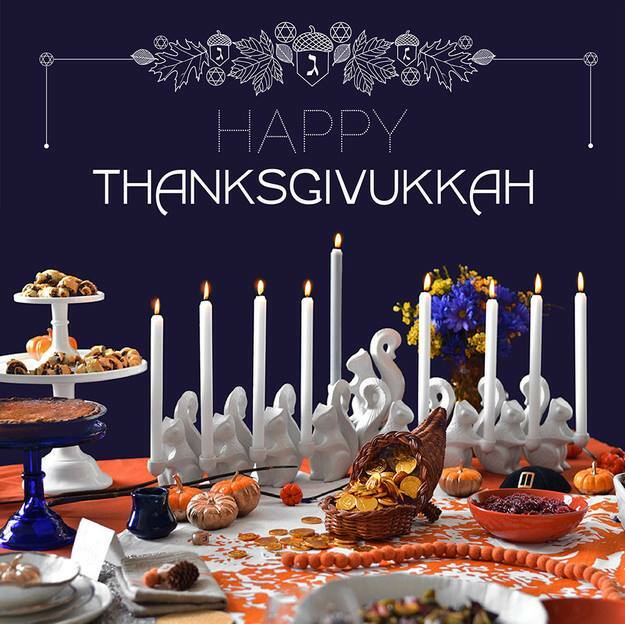 I feel bad that I won’t technically be doing anything for Chanukah this year, which begins Thanksgiving night, and is my favorite of all the Jewish holidays. I have such great memories of the happiness of Chanukah that it makes me sad, but it’s also not about gifts. Right now, for me, it’s about remaining focused. I’m doing my best. This year has taken huge chunks of my soul, but others things have been given back to me, like unconditional love, loyalty, confidence, respect, new friendships that I treasure, old friendships that are the untarnished Platinum in my life, and the knowledge that the more I grow, the more content I am with who I am and where I’m going. Nothing is set in stone, and I’m learning that every time someone tries to break me, I come back stronger from the trial. 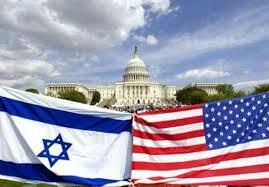 I hope everyone has a wonderful, peaceful, happy, healthy, and safe holiday.